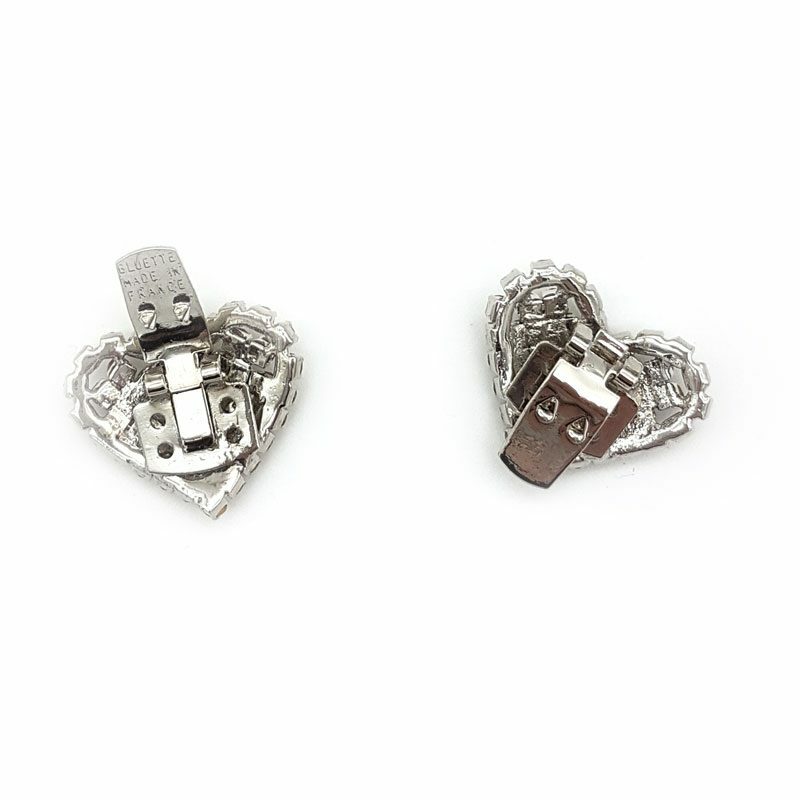 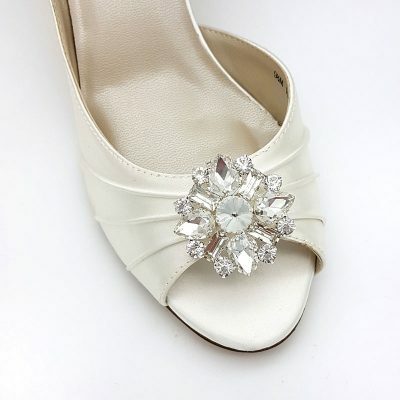 Heart Shaped Shoe Clips - Add some special detail. 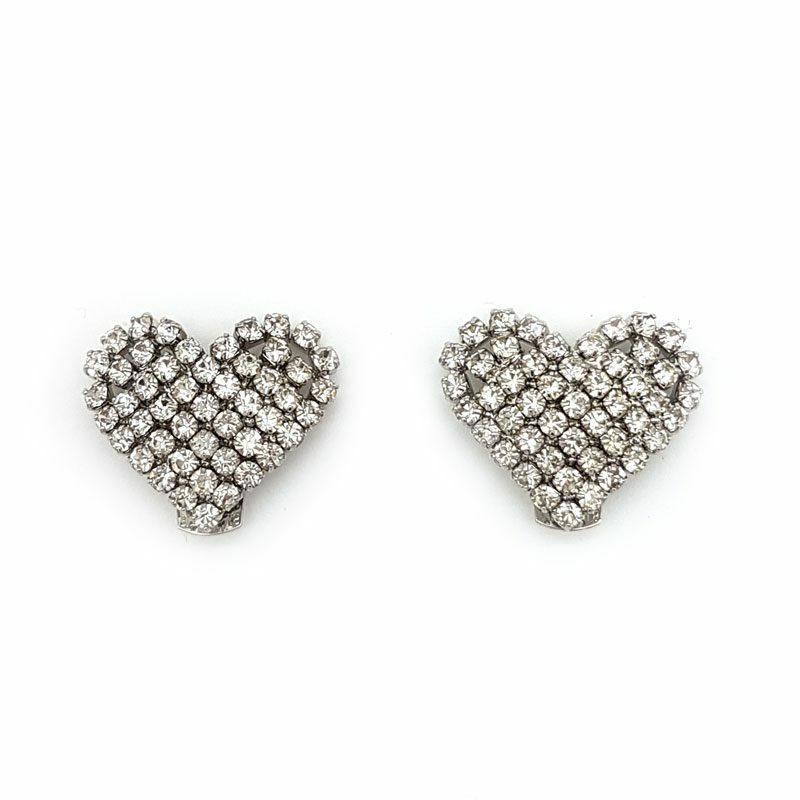 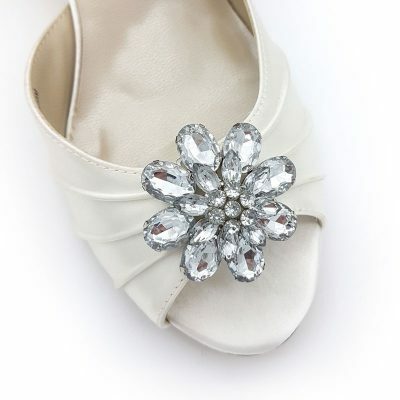 Heart shaped shoe clips with clear rhinestones set against a silver coloured background. 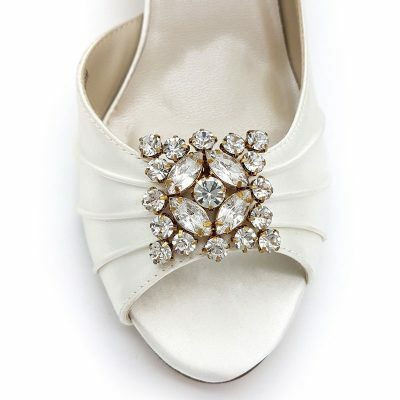 Dazzle your wedding shoes with this sweet detail.